Ruth Current was a veteran leader of Home Demonstration for the North Carolina Agricultural (Cooperative) Extension Service for over thirty years. Current was born in Cleveland, North Carolina, the fifth of six children to Richard Carmine “RC” and Flora (Teague) Current. She attended Meredith College but transferred to Madison College to pursue a degree in home economics. She would eventually earn graduate degrees in home economics, sociology and adult education from George Peabody College, Columbia University, Womens College of North Carolina and North Carolina State College. After serving at the Methodist Orphanage in Winston-Salem, NC as a dietician and as a home economics teacher in Statesville and China Grove, she began her long career in the extension service as an agent for Iredell county in 1927. In November 1930, Current succeeded Martha Creighton as the district home demonstration agent for the southwest region of 25 counties. By 1932 she was also appointed “assistant 4-H leader in charge or girls activities” serving under L. R. Harrill. While working in both of these positions it was announced that Current would become the new state home demonstration agent on February 4, 1937. She replaced home demonstration pioneer Dr. Jane S. McKimmon, who was pleased with the choice of Ruth Current whom she had known for nearly a decade. The number of counties with home demonstration programs continued to grow under Current’s leadership. She was a pioneer in expanding resources for rural women in the areas of literacy, crafts, citizenship, music appreciation, public health, finance and the connection of rural education to state, national and international organizations. This was accomplished through multiple services sent to rural communities like bookmobiles, mobile medical units, and trained recreation leaders. For her outstanding service Current was named “Woman of the Year” by Progressive Farmer magazine in 1947 and was honored as “Carolina’s Farm Leader” in 1950. She also was awarded the USDA Superior Service Award in 1954. Ruth Current actively continued in the role of state home demonstration agent until 1957, after which she served as assistant director for the North Carolina Agricultural Extension Service for Home Economics until her retirement in 1961. She later worked at the extension division at the University of North Carolina at Chapel Hill and as a supervisor of the home management house at Meredith College. Current was still working in the latter position when she died on January 24, 1967 at the age of 66. During her years in extension Current was a member of numerous state and national organizations which included the N. C. Division of the American Cancer Society, and the N. C. Home Economics Foundation. She was also a writer and editor for the N.C. newspaper feature “Hints For Homemakers”, a columnist for Southern Planter magazine, and a contributor to numerous other farm publications. 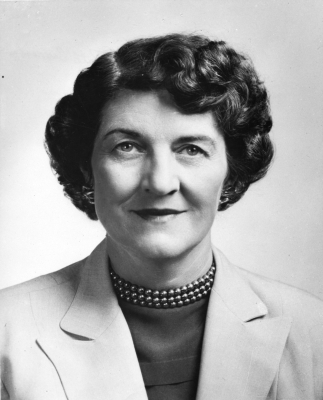 When she was inducted into the NC Agricultural Hall of Fame in 1976, she was referred to as “one of North Carolina’s greatest women”. McBride, Marie A. "McKimmon, Jane Simpson." NCpedia Home Page. Accessed August 24, 2016. McKimmon, Jane Simpson. 1945. When we're green we grow. Chapel Hill: University of North Carolina Press. Ruth Augusta Current. North Carolina Agricultural Hall of Fame Inductees. NCDA&CS. Who’s who of american women. First edition, 1958-1959. Wilmette, IL: Marquis Who’s Who, 1958. Current, Ruth. “Achievements in Home Demonstration Club Work”. Danbury Reporter, April 28, 1938. Raleigh Engraving Company. [Home Demonstration Agent Ruth Current portrait.] Photograph. ca. 1950. Item 0004365, People, Administrators, Faculty and Staff Collection (UA023.024.013), Special Collections Research Center at NCSU Libraries. http://d.lib.ncsu.edu/collections/catalog/0004365 (accessed September 3, 2016).